“How do you defend against [archnemesis/former Texas Tech OC’s Sonny Dykes’s spread] offense? 1. You must limit yards after the catch. When this offense racks up 40+ points, it is due to big gains off short passes. Think of how the Patriots used Wes Welker (who played at Texas Tech) last season, hitting him in stride all over the field. How do you limit these yards? There is only one way, and it’s got very little to do with scheme or coaching: fast, athletic linebackers. If you have quick, rangy linebackers, the receivers will get stopped dead in their tracks. If you don’t, this offense will run your defense ragged. 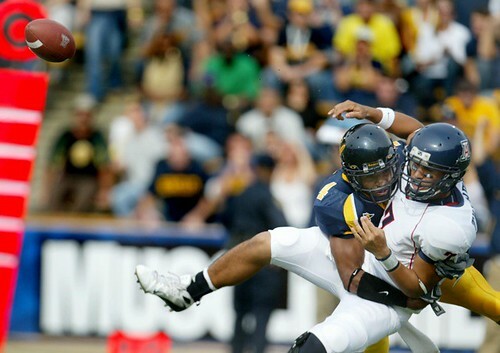 Cal really didn’t have that kind of quickness versus Tech in 2004, and it made it hard to stop them. 2. 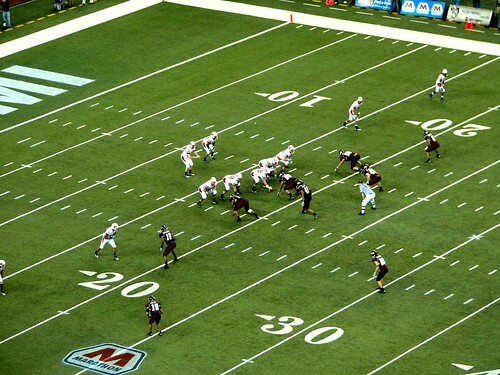 You must have success with disguised, well-timed blitzes, preferably zone blitzes. Arizona’s spread is a bit more susceptible to the blitz than the Tech spread because they do not subsist entirely on short passes. They will look deep, and they do run the ball occasionally. But with 5 options to throw to, a good QB like Tuitama is going to burn a blitz if he sees it coming. 3. Punish the receivers for catching the ball. This offense needs receivers to catch over the middle to be truly effective and spread the defense out. A couple huge hits can cause receivers to be hesitant or drop balls, which kills the timing and rhythm of the offense. “If Cal can successfully run the ball tomorrow against Arizona, it is very difficult for me to see them losing against Arizona, barring any costly turnovers. 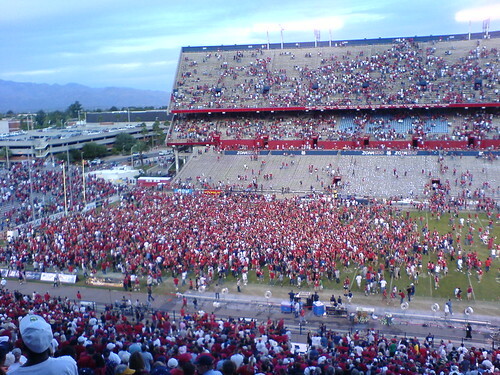 In their two losses this season, Arizona has given up 507 yards on the ground rushing the ball. They face a Cal offense that is currently 3rd in the conference in rushing yards per game, averaging 180.0 yards on the ground. Cal shouldn’t get too excited just yet however, as the commonality in the two rushing attacks that Zona stuggled against were power running games with both Stanford backs Toby Gerhart and Rodney Ferguson of New Mexico, topping out over 230 pounds. I only have one contribution this time around: NEVER FORGET.